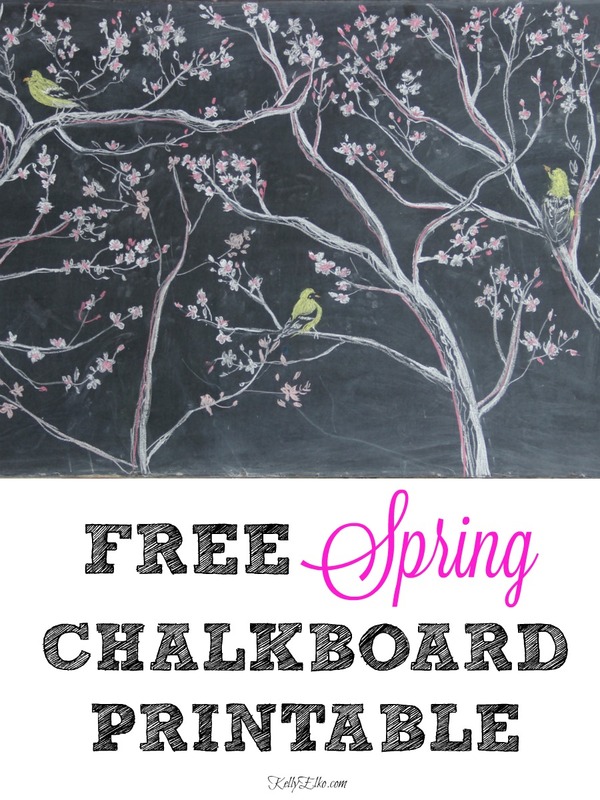 I’m excited to offer this original art as a free spring chalkboard printable! A trio of yellow finches flutter among a sea of pink cherry blossoms. Pop it in a frame to instantly add a bit of spring to your home. Set to print 8″ x 10″. Use heavy card stock or regular printer paper. I hope this adds a little spring cheer to your home! See more of my spring mantel here. 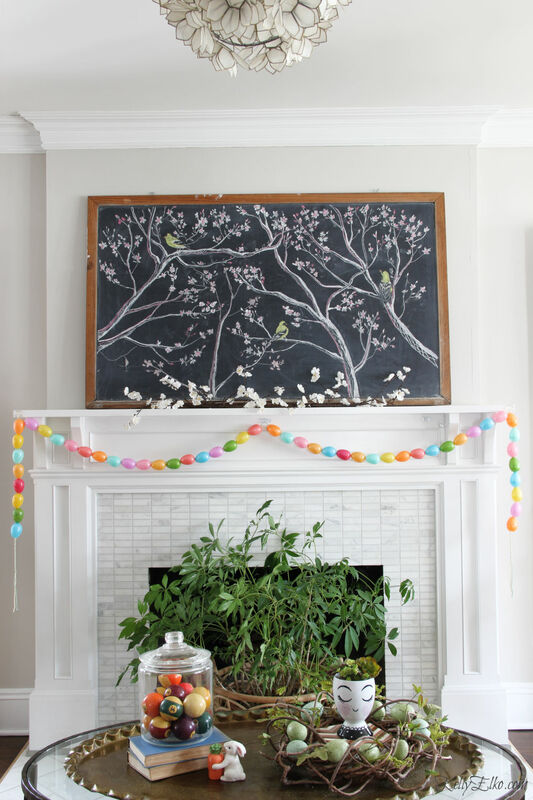 See how to make my DIY egg garland here. See all of my FREE printables here.